It has an in built rechargeable battery that can work continuously more than 4 hours. 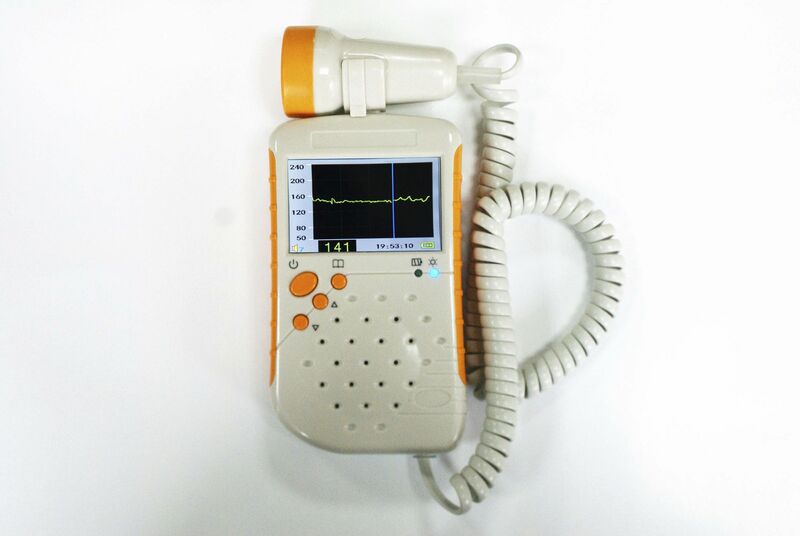 Pocket Fetal Doppler mainly applies to detect the fetal heartbeat rate from the twelfth week; 2.4'' ultra big LCD displays the FHR data, graphic, real time, date and battery capacity, volume of sound and consternation indicator etc. 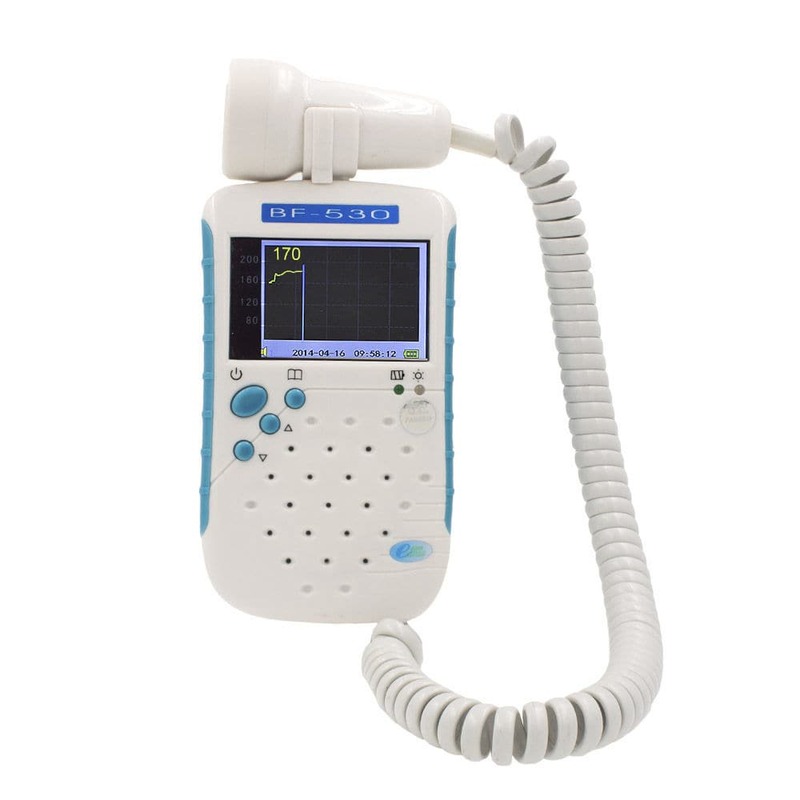 Ultrasonic Frequency: The product has an Executive standard EN61266 1995 with ultrasonic frequency of 1.0MHz having the capacity of 10% Working mode. Connection: This can be connected with PC using USB Port. Probes Software: 1.0MHz probes the software for the options. 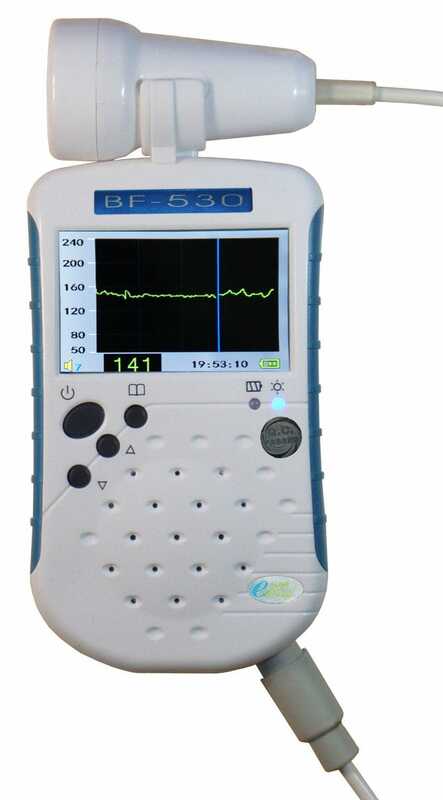 Normative Collection: Normative collection USB interface is for normative collocation and analysis software for option. Speaker: The product has an in built speaker that collocates with earphone jack. Portability: Only 270g, can be carried conveniently with an earphone, gllus and portable handbag. 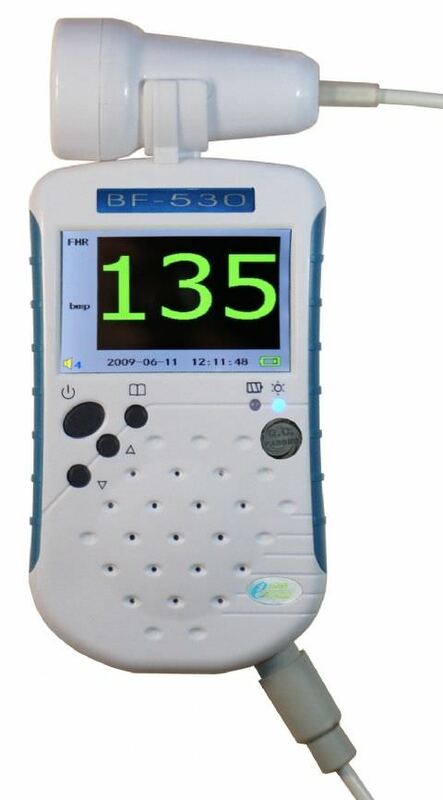 Automatic: This device has automatic one minute power off, self detect function and consternation function when FHR is out of the normal range or battery power is in shortage. Display: TFT LCD display is utilized conveniently at night.